The גמרא discusses the various reasons for the destruction of the משכן and בתי מקדש as well as the level of severity of each. It is interesting to note a nuance in this discussion which is not discussed explicitly. There is a definite progression in the "literal" nature of the critical offenses. Let me explain by starting with the בית שני. There we are told that שנאת חינם was the culprit. As we all know, it was pure, unadulterated שנאת חינם. The בית ראשון was because of the ג' חמורות. But exactly was the גילוי עריות? The גמרא explains that it refers to immodest conduct on the part of בנות ישראל. They conducted themselves in such a way as to incite the יצר הרע. It does not say that actual ג"ע was rampant. 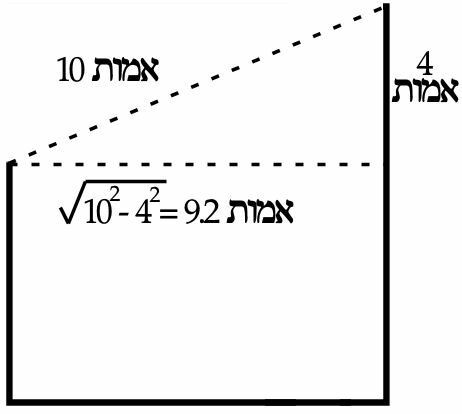 The conduct of בני עלי in the time of the משכן is yet an even more far-fetched classification of גילוי עריות. What I believe this nuance is indicating is the degree to which הקב"ה is מדקדק throughout the generations. The generation of משכן שילה was on a much higher level and therefore judged with much greater scrutiny, ultimately being punished for something which only remotely resembled גילוי עריות. As the generations progressed, more explicit transgressions were needed to mete out justice. I found this exchange most intriguing. The גמרא is comparing the merits of the generations that saw the destruction of each בית המקדש. The consensus seems to be that the fact the בית המקדש has not been rebuilt, in contrast to the relatively short initial exile of 70 years, is proof of the greater merit of the earlier generations. It would seem that the responsibility for bringing the בית המקדש back would lie in the hands of the subsequent generations in exile. Yet, the גמרא seems to tie it back to the generation in which it was destroyed. I suppose one support for this could be that the prophecy of the 70-year exile was already given to ירמיהו כ"ט:י. The גמרא must understand that it was due to the merit of the generation of the destruction that an expiry was put on the ensuing exile from the very beginning, whereas as no such favour was granted the second time. If he is separated before sunset on Day 0, how is it possible for him to become טמא on Day 1? Now, in the end we reject רב שימי's suggestion so certainly it comes out that practically we need not separate the כהן גדול before the onset of Day 1. So this isn't a serious difficulty. However, that being the case, could the גמרא not have brought this as a proof against רב שימי? The above highlighted text is found in most versions up until the modern printings. Even my Telman version has it that way. But it should certainly be דמשכבו in masculine. Sure enough, the modern עוז והדר versions incorporated that correction without even making a note of it. It took me a while to get to the bottom of this but it does appear that this מחלוקת has no practical ramifications after the מילואים in the מדבר. Furthermore, not only is this discussion historical, it is also hypothetical. It relates only to what would have happened if someone would have left out one of these components. It is ironic that on the very next page, the גמרא asks כיצד הלבישן, how did they dress the כהנים? This question is immediately attacked - whatever was, was. And as far as what we might need to know in the end of days - משה and אהרן will tell us then! Quite a contrast. 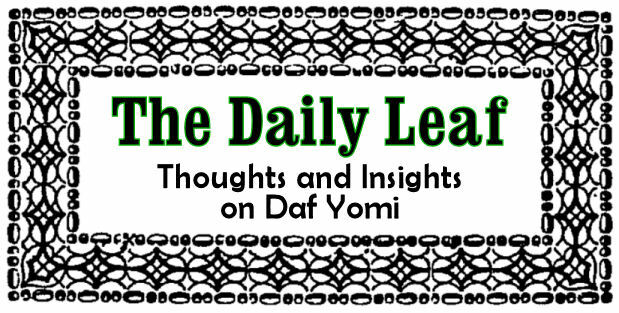 There is one simple answer: Although the direct halachic ramifications are indeed constrained to the מילואים we do see from the exchange between ר' יוחנן and ריש לקיש that the understanding of those laws does impact how we would understand the laws governing the yearly separation of the כהן גדול. So it is important on that account. Perhaps there might be a deeper answer to the general approach given to these issues. There are many times in ש"ס that the גמרא will seem to go a circuitous route to reach a final conclusion. Various approaches and understandings are suggested and debunked, some even seeming illogical from the start. Why arrange the גמרא this way? Why not just get to the end point directly? Clearly, רבינא and רב אשי intended the גמרא to be more than a collection of הלכות. We have ראשונים like the רי"ף and רמב"ם to zero in on what we need to know. But the גמרא is meant to mold are minds and train our brains for the analytical thinking that is required to fully grasp any one subject matter. In addition to the irony mentioned above, תוספות ה: ד"ה מאי דהוה הוה also asks that the גמרא in סנהדרין discusses how an ox that made contact with הר סיני would have been judged and no objection is brought there either. So how are we to understand this? I believe that really, there is no problem with discussing a legal issue which has no practical import. If it was worthy of discussion then it is just as worthy of discussion now. So why then did the גמרא object to כיצד הלבישן? I think the answer might just be that the גמרא asked the question because there was an answer. The question was posed solely for the purpose of exposing the give and take that would ultimately teach us that there are two contradictory פסוקים which we need to understand. If there's no real answer to the question "why do I need to know this?" then the גמרא simply won't ask it. I hope this approach is not too controversial. One question that arises from this explanation of תוספות is that in the end, how are we any better than the צדוקים if we too are careful not to make him טמא מדאורייתא? However, what bothered me was that our practice doesn’t really make the intended point to the צדקים. We want to show them “Ha. You say the one who burns the cow can’t be a טבול יום but we’ll show you that he can be.” But if they have a complete disregard for any תורה שבעל פה, this טומאה דרבנן is absolutely meaningless to them and as far as they are concerned, he is completely טהור. I went searching in the מתיבתא edition where I found a lot of attention devoted to the first question and finally, my question is addressed by מעיל שמואל. He writes the להוציא מלבן של צדוקין does not mean that we are addressing them directly. Rather, what is really meant is that we need to make the point to ourselves, to the masses, that they are incorrect. Therefore, the masses who recognize the reality of טומאה דרבנן will see that in fact a טבול יום may burn the cow and will know the צדוקים are wrong. We don’t concern ourselves with what the צדוקים will think. See this old shtikle of mine on פרשת תרומה regarding רש”י’s version of this גמרא. Well, what is it? The 6th מסכתא in טהרות is commonly known as מקואות. I would have to say that that is certainly the most common pronunciation. However, the text in our opening משנה seems to imply that perhaps it is מקוות. Is it possible that it depends on סמיכות? That is, the regular plural is מקואות but next to מים, it becomes מקוות מים. A number of years ago, in a shtikle on ואתחנן, I explained a possible connection between יציאת מצרים and שבת. It appears this תוספות is another support for that approach. The שנויי נוסחאות in the משניות references another גירסא which has הגיענו instead of יגיענו. See this Dikdukian post where we make a strong case that הגיענו is in fact correct. One is only satiated from the food he eats if he sees it. Therefore, the blind are never fully satiate. How could it be, then, that if רב ששת ate in the morning he would still lack any desire for food in the evening? The above gemara relates a story about the dangerously mystical powers of the wines of Prugaisa and waters of Diumsis. The great Rabbi Elazar ben Arach visited these wonders and was overcome and forgot his learning. When he returned, he got up to read the aforementioned pasuk. Instead of reading "HaChodesh hazeh lachem," this month shall be for you, he switched the dalet for a reish, the zayin for a yud, the chuf for a beis and misread, "hacheireish hayah libam," and their hearts were deafened and muted. The Rabbis prayed for him and he returned to his normal self. Nevertheless, it is quite shocking for such a notable sage to be overcome to such an extent. Is it possible that R' Elazar was so deeply influenced that he forgot how to read an elementary pasuk? The GR"A explains that eyes, ears and heart correspond respectively to Torah ShebiChsav, the Written Tradition, Torah SheBa'al Peh, the Oral Tradition, and Sodos HaTorah, the deep secrets of the Torah . The study of Torah ShebiChsav and Torah SheBa'al Peh, will ultimately lead to understanding of Sodos HaTorah. The neglect of Torah study will first deprive an understanding of Sodos HaTorah, to be followed by forgeting of Torah SheBa’al Peh and finally, even Torah ShebiChsav will no longer be comprehensible. However, if diligent and continuous study is resumed again, first the eyes will begin the study of the Written Tradition, followed by careful and concentrated attention with the ears to the Oral Tradition and, eventually, by persistent study, the heart will regain the ability to penetrate and comprehend the deep secrets of Torah. We can assume that R’ Elazar ben Arach, the "ma'ayan hamisgabeir," (Avos 2:8) did not forget the Written and Oral traditions. However, by reading "Their hearts were deafened," he made a personal statement, a cry for help. This pasuk, "HaChodesh hazeh lachem," which commands us to put into practice the Sodos HaTorah, was now beyond his reach. By allowing himself to be drawn to the wines of Prugaisa and waters of Diumsis, his heart became deafened and no longer had the capacity to comprehend Sodos HaTorah, including Sod HaIbur. The rabbis answered his outcry and prayed for him and his mastery of Sodos HaTorah was returned to him. The following is from a הספד delivered by R' Yaakov Weinberg, זצ"ל at the end of the שבעה for R' Ruderman, זצ"ל.